Add the eggs to a bowl with the protein powder, baking powder, almond milk, and vanilla extract. Spray a nonstick skillet with cooking spray and heat over medium. Pour batter into the skillet. The pancakes in this cycling breakfast recipe calls for about 1/3 cup of batter. Cook for 2 minutes or until bubbles begins to form on the surface of each pancake. Carefully flip and cook for another 2 minutes or until golden brown. 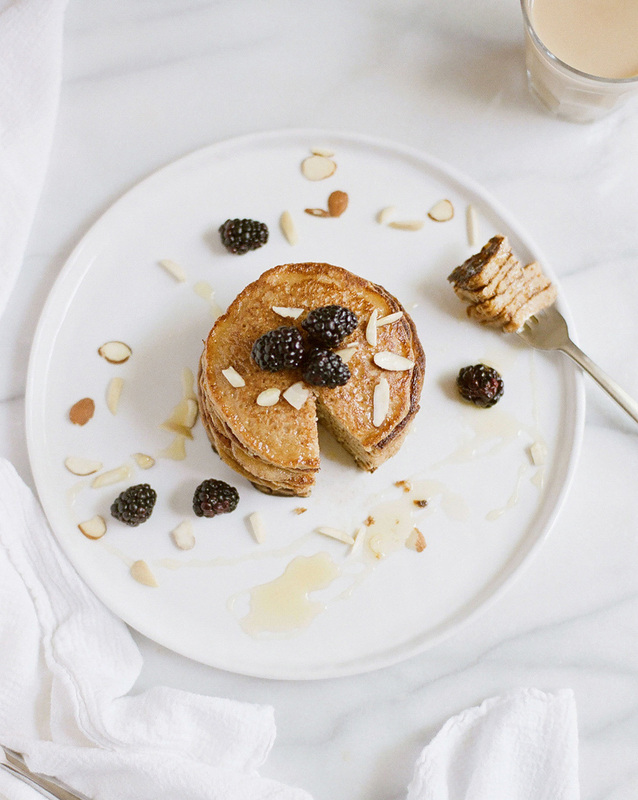 Garnish your cycling breakfast with slivered almonds and blackberries for added crunch and sweetness.